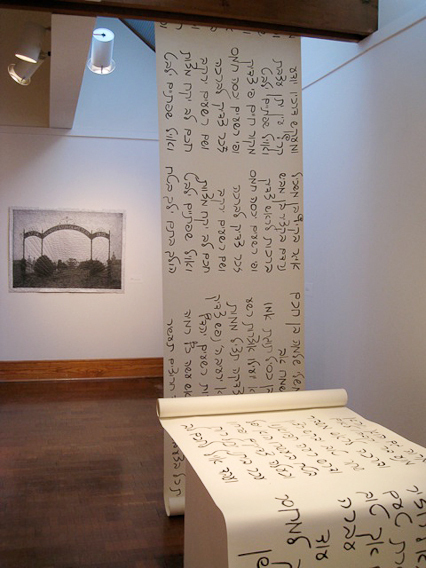 Mishlei scroll, Noyes Museum, Oceanville, NJ Mishlei is a 3‘x60’ paper scroll, upon which chapters 10-12 from Proverbs (Mishlei, in Hebrew) are written in ink. In an exhibit called Gleanings in the summer of 2011, this scroll was placed on a lectern. It unspooled to the floor, climbed a wall, hung from a ceiling, and fell gracefully from a beam.